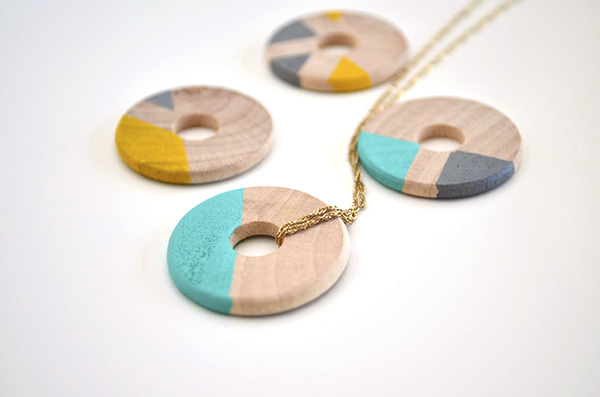 I've been working on these wooden disc necklaces on and off for a while now. 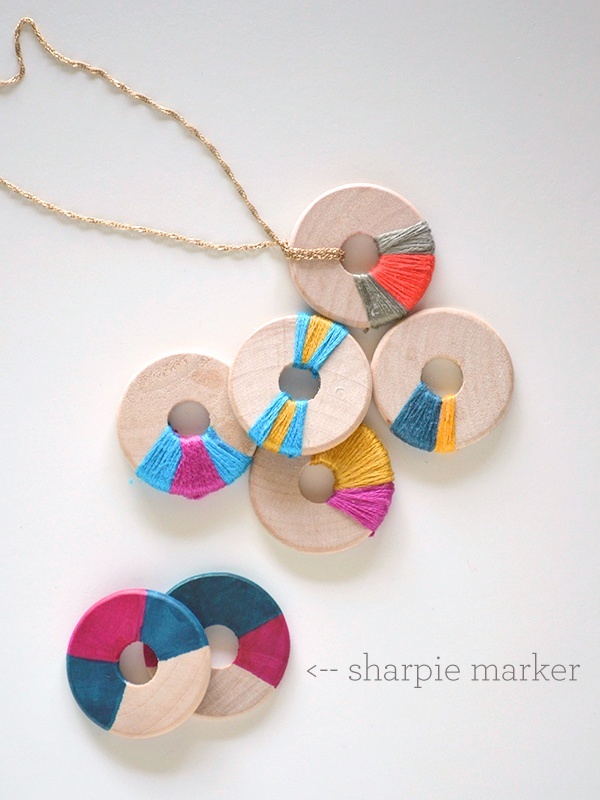 I found these wooden washers on Etsy and I wanted to try and make something with them. I have a lot of embroidery floss around from my embroidery projects, here and here, so I made these floss wrapped pendants. I used Mod Podge glue to secure the string to the wood and then just wrapped from there. When I was done, I ran some glue over the string to make sure it didn't fray or unravel. I also tried to paint a few washers with some sharpies I had around the house. They turned out OK. I think it would have done more of these if I had more colors. And of course, I had to try my favorite technique, masking and painting with acrylics. No matter the result, masking always makes it look like you know what your doing! I really like these! The only thing they lack, is the texture of the embroidery floss ones. what about painting one side and wrapping some darker colored thread-- a nice pop of color against some texture would look awesome. Good idea! That woud look great! Really nice! I tried to pin this but it wouldn't let me. Thanks Lynda! Many people have pinned from this site before. You shouldn't have any problems pinning. I love this project! So simple and fun. I'd like to try it with the floss. 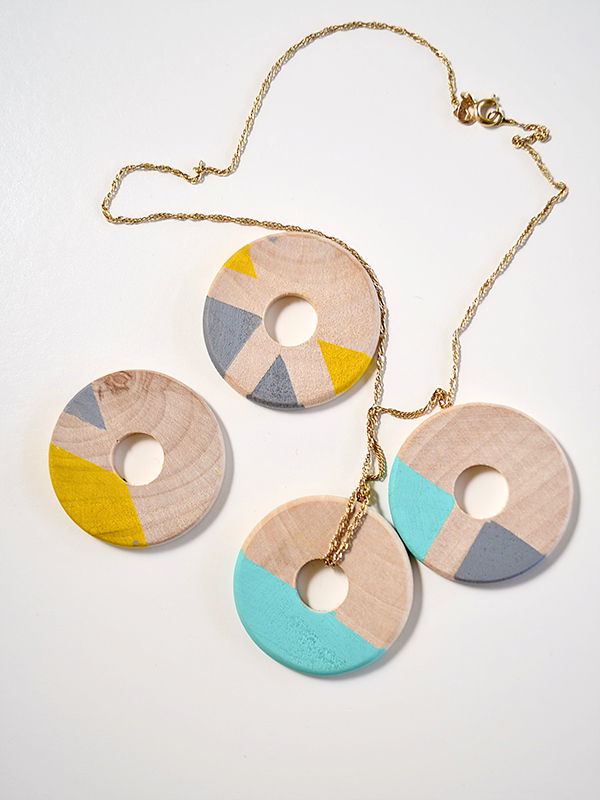 This is adorable, I love colorful wood jewelry, thanks for sharing!! 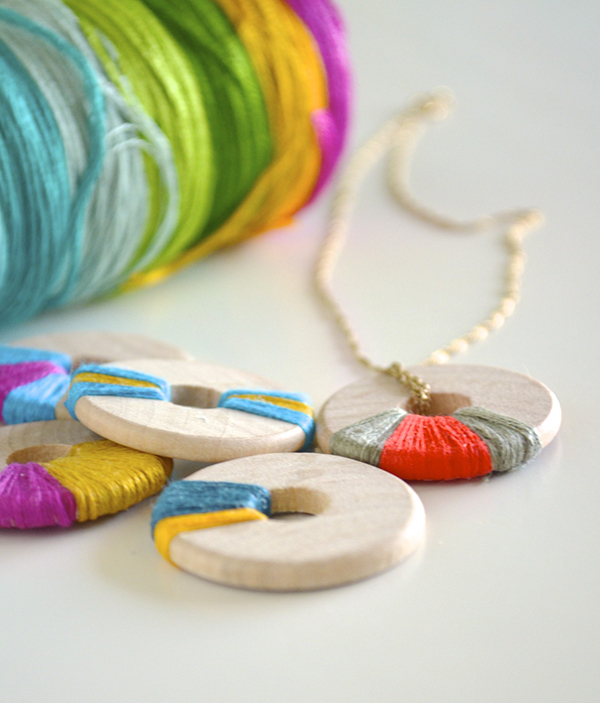 question: where did you get the wooden washers? did you make them or buy them? Hi Jen, I bought them on Etsy, I just searched "wooden washers."